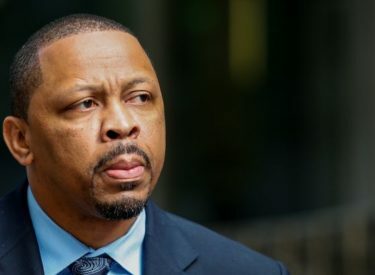 Former Oklahoma State assistant basketball coach Lamont Evans has pleaded guilty, admitting to accepting $22,000 in bribes to convince NBA-destined athletes to team up with favored financial advisers. The 41-year-old Evans entered the plea Wednesday in Manhattan federal court to a single charge of conspiracy to commit bribery. Sentencing was set for May 10. A plea deal with prosecutors recommends a sentence of up to two years in prison. Evans also must forfeit $22,000. Judge Edgardo Ramos also warned him that he might be subject to deportation because he is a citizen of Barbados.